Ensure the longevity of your driveway or parking lot with fast and efficient crack filling from Slayton's Sealing, Crackfilling & Paving. Laying new pavement on your existing parking lot is a great way to indirectly entice customers into your business. Backed by more than 15 years of experience, Slayton's Sealing, Crackfilling & Paving provides driveway & parking lot sealing, driveway repair, and asphalt paving to residents and businesses. We provide quality driveway repair and parking lot work, often at a lower price than competitors. We understand the significance of developing a relationship with our customers, which has often rewarded us with repeat business. Our expert service and friendly approach to conducting business truly separate us from the competition. Contact us to fix up your driveway for an affordable price. 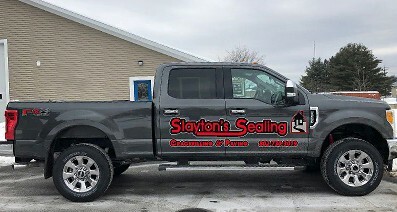 Contact Slayton's Sealing, Crackfilling & Paving in Burlington, VT, at (802) 730-3019 to speak with the best commercial & residential driveway sealing, driveway repair & crack filling contractors in the business. Thank you for your interest. For questions or comments, please use the form or the information below. We look forward to hearing from you soon.